It is perhaps the most famous poem to come out of the Great War. “In Flanders Fields” was written in 20 minutes — just 15 lines in all — but it spoke volumes about those who lost their lives during the First World War on a field near Ypres, Belgium, in May 1915. 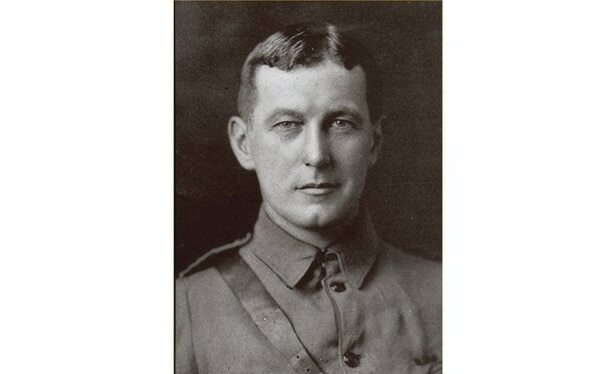 The author was the Canadian doctor, soldier, author and artist John McCrae. Born in Ontario in 1872 and educated in public schools, he was only 15 when he joined the local militia, which was commanded by his father. He started out as a bugler. Later, he won a scholarship to the University of Toronto, where he earned his bachelor’s degree and went on to study medicine. Graduating at the top of his class, he did his residency at Johns Hopkins University in Baltimore. Throughout his schooling, McCrae kept his ties with the military and advanced to the rank of lieutenant in his hometown militia. He also was a member of the Toronto militia, The Queen’s Own Rifles, and became its commander and a captain. Besides writing poetry, McCrae was the author of scientific articles, medical textbooks and short stories. Throughout his life he made numerous, beautiful sketches of what he saw. After his medical training, he was awarded a fellowship at McGill University but postponed enrolling to serve his country in the Boer War. He went to South Africa in 1900 as commander of D Battery of the Royal Canadian Artillery. Though he felt it was important to serve, he left the war disturbed by the poor treatment of the sick and wounded. McCrae returned to Canada in 1905 and then took a position at the University of Vermont teaching pathology. Years later, when World War I broke out, he enlisted. In the fall of 1914, he was made brigade surgeon with the rank of major, second in command, and was sent to Belgium. Most Canadians and Brits entered Europe across the English Channel into the Flanders region of Belgium. The death of a young friend, Lieutenant Alexis Helmer of Ottawa, was particularly difficult. On May 2, 1915, Helmer was killed when a shell burst at his feet. Because no chaplain was available, McCrae performed the burial ceremony for his friend and countryman. McCrae later threw away his poem, but fortunately it was retrieved by Lieutenant Colonel Edward Morrison, a former newspaper editor. Morrison sent it to several London publications, and it was published by Punch magazine on December 8, 1915. Gardening experts tell us that poppies grow and thrive only in soil that is frequently disturbed. When McCrae wrote his poem, the tumult of battle had uprooted the whole front. Poppies were in bloom all over the Flanders landscape. Like the blood spilled from thousands of soldiers, this poppy was red. 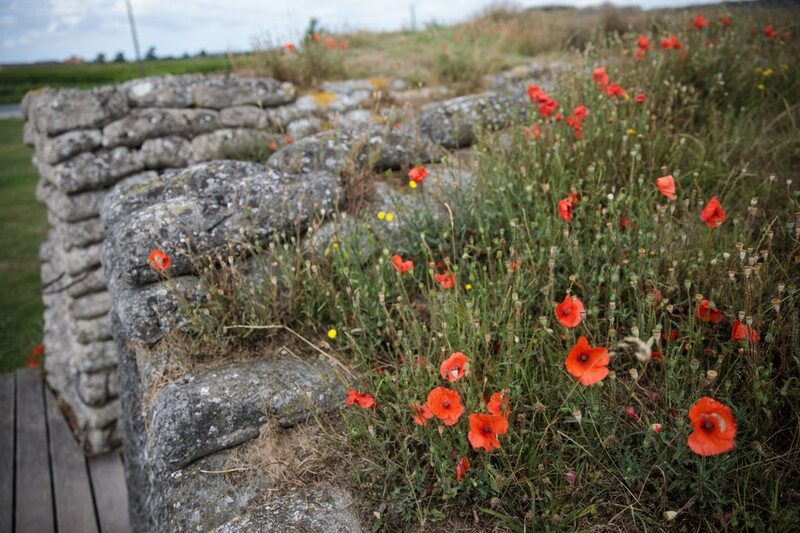 The red corn poppy (Papaver rheoeas) was native to Europe and also was prominent in the Napoleonic Wars. 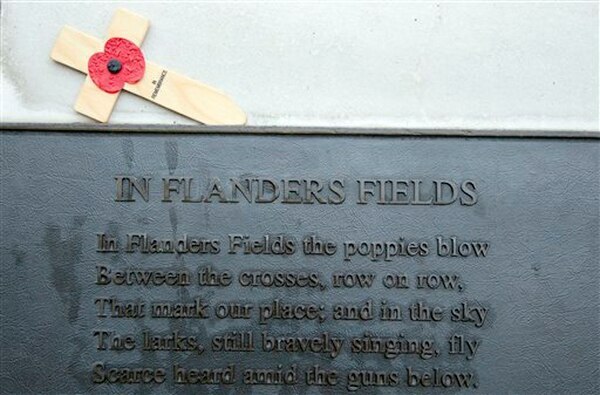 “In Flanders Fields” became an instant favorite all over the world. It was particularly popular in Canada and the U.S. Ads featuring lines from it helped raise $400 million for the war effort in Canada alone. His poem went on to achieve immortality, appearing on Canadian $10 bills and a 1968 commemorative stamp. It inspired songs by Canadian composers Michael Roberts and Jon Brooks and the American John Philip Sousa. Proceeds from the sale of poppies were used to benefit disabled veterans. Michael resolved to make the poppy a reminder of McCrae and millions of others who lost their lives in war. She mounted a long campaign that led the American Legion to adopt the red poppy in 1920 as its symbol of remembrance. McCrae did not live to see all this. In 1918 McCrae had been named consulting surgeon for the entire British army, but the war had left him weary and unhealthy. Late in January 1918 he developed pneumonia and meningitis. He died on January 28 and was buried with full military honors at Wimereux, France, where poppies grow. Editor’s note: This piece was originally published by MHQ: The Quarterly Journal of Military History, in 2011. For more on MHQ and other HistoryNet publications, go here.